The PWD on Saturday started the metal filling work on the Kakkanad-Palarivattom stretch, which will put an end to the ordeal faced by motorists. KOCHI: The PWD on Saturday started the metal filling work on the Kakkanad-Palarivattom stretch, which will put an end to the ordeal faced by motorists. The Padamugal Junction, where majors cracks have been developed, will be repaired first. It was in the last week that the department completed the tender process for initiating the repair work at the Palarivattom-Kunnumpuram stretch. The tender has been awarded for Rs 40 lakh to a private party. “We hope to complete the work prior to the October 31 deadline. In the first phase, metals will be used to level the road. If the weather remains the same, we will start the repairing work,” said Babu, the work contractor. The ride through the road has become bumpier, damaging not only the health of the motorists, but also their vehicles. Even the District Collector’s direction to the PWD had fallen on deaf ears, prompting him to suspend two PWD officers“The rain was the major reason for the delay in starting patchworks. 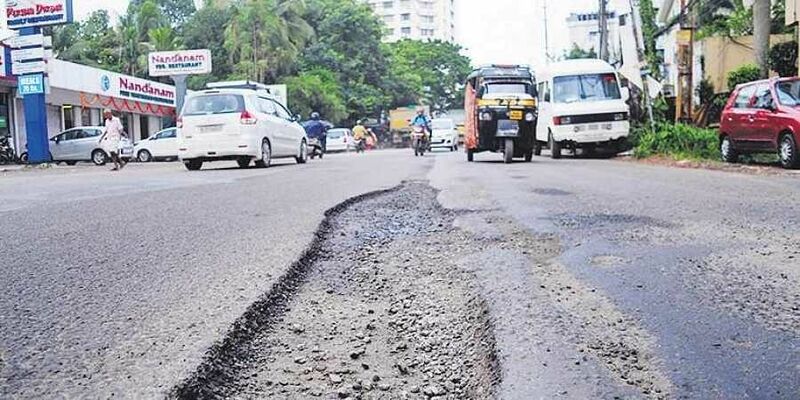 There was also an order from PWD Minister not to carry out the tarring, patchwork, and digging up of state’s roads and national highways from June 1 to August 15. This was also a reason for the delay. We have fixed a deadline as October 31. We hope we can complete the work much before that,” said a PWD officer.